How Far is Acme Ozone? Welcome to an abode of magnificent apartments for sale in the heart of Manpada, Thane West. A meticulous project by the top real estate group in the country, ACME Housing India group. This project is located in a prime location and it serves you elegant apartments for sale in Thane. 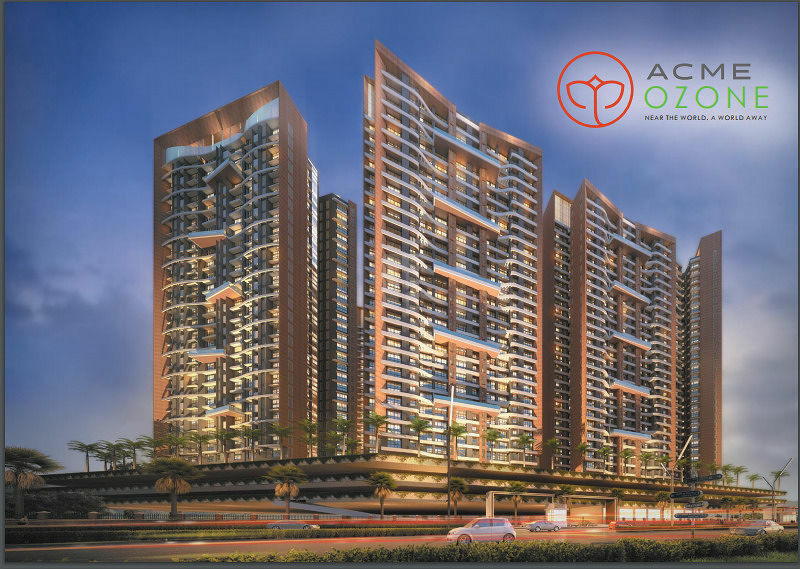 Acme Ozone offers you thoughtfully crafted 2BHK apartments with a dimension of 687 sq. 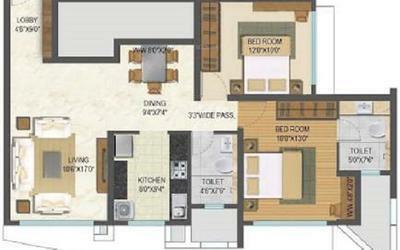 ft. as well as 3BHK apartments for sale in Thane with a dimension of 1041 sq. ft. These apartments are well equipped with modern day amenities and world-class features that ensure you a comfortable and elegant lifestyle. It is perfect for a premium lifestyle, it elevates your standard of living and allows you to live in a residential space which is surrounded by the serene environment. This project is built with superior engineering, attention to detail, to provide you a perfect housing solution. Surrounded by lush green landscapes, it gives you the refreshment of nature and lets you breath fresh air. It is in close proximity to the famed schools, hospitals, public parks, shopping malls, and other civic utilities. The location also benefits you with easy access to other major parts of the city. These homes are ideal for people who seek property in Manpada. Be a part of it and experience the pleasure of finest living. Exterior : Weather resistant texture paint. Kitchen : Ceramic tiles up to lintel level. Toilets : Ceramic tiles up to lintel level. Toilets : Standers make CP & Sanitary fittings. Kitchen : Granite platform with S.S.sink. Power coated aluminum sliding with mosquito mesh.